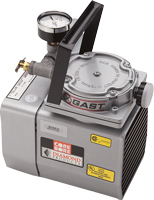 Please note: Some of the terms listed are slang terms used commonly throughout the diamond tool industry. Aggregate - Rocks and minerals that are put into cement to make concrete. 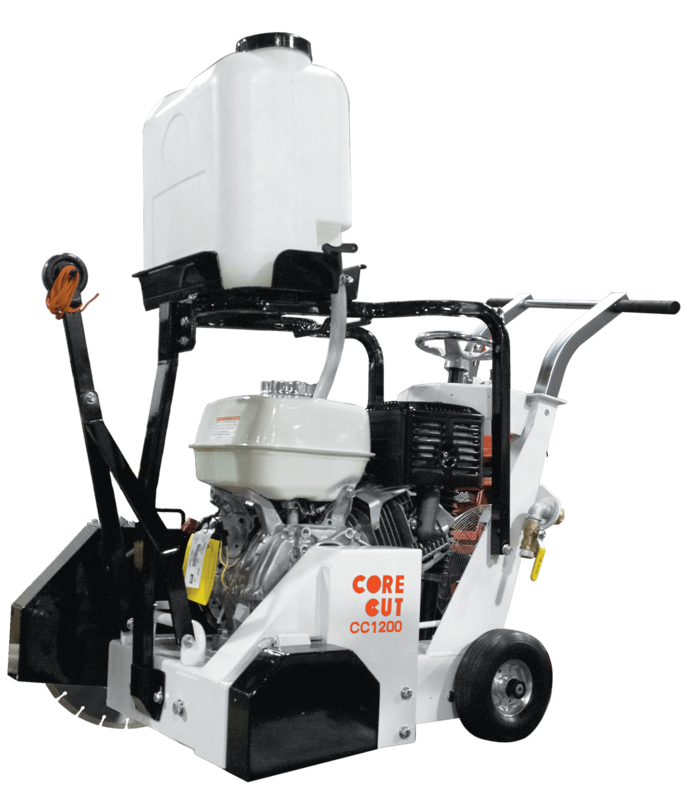 The type of aggregate determines how hard or soft concrete and asphalt are. Anchor - Secures the drill rig to the work surface. 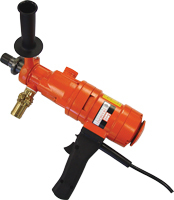 Prevents movement during drilling. 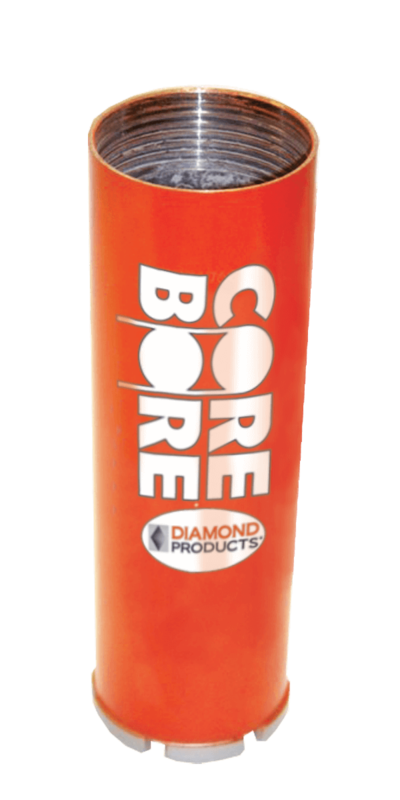 Movement during drilling will cause chatter of bit against the work surface, fracturing diamonds and damage to core bit. 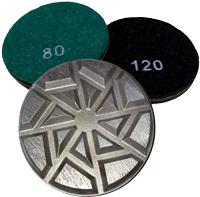 Backer Pad -The side of a diamond segment that has no diamonds. This is the part of the segment that is welded onto a blade core or core bit. 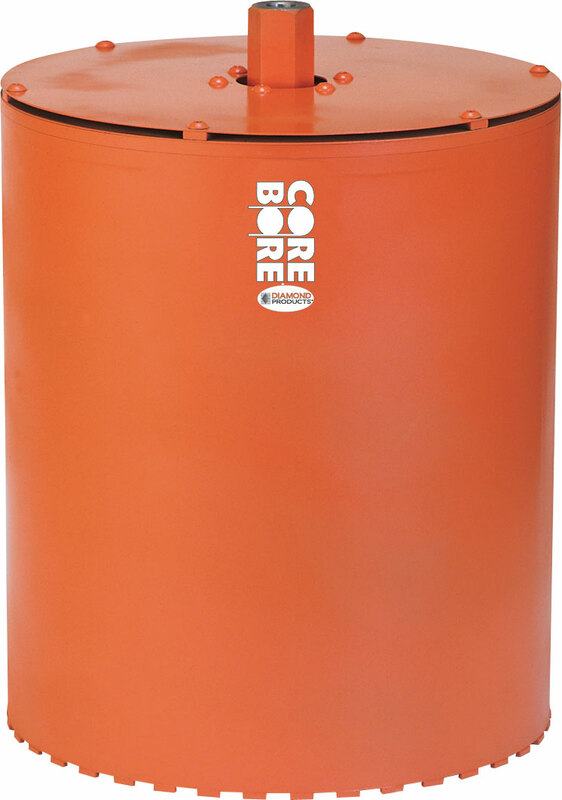 Barrel - Common term used for the tube or body of a core bit. Normally made of steel. Also called a core. Bond - Also known as matrix. The material that holds the diamond in the segment. Bond Tail - Also called a 'comet tail'. The bond that has not worn away that follows a diamond. Located on the non-cutting side of a diamond and that holds the diamond in place. Brazing - Silver solder is placed between the segment or rim and the core. The act of attaching a segment to a core. 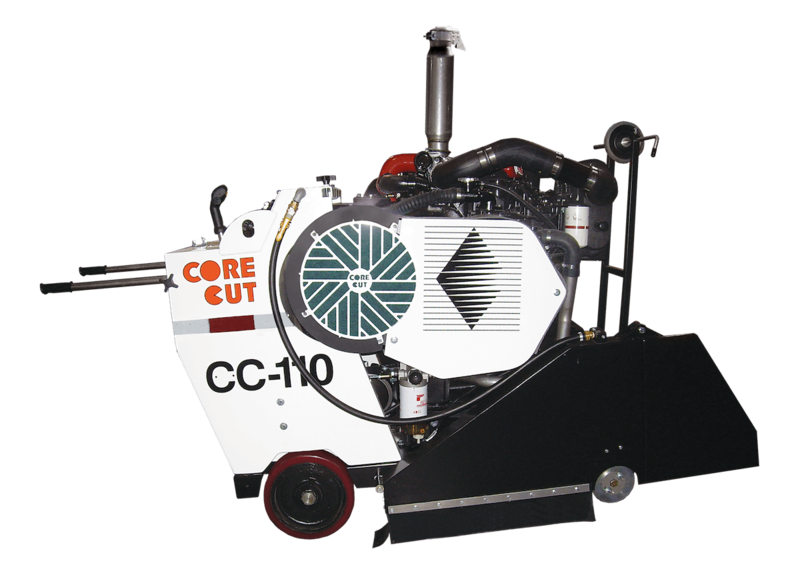 The alternative to laser welding, this is used for wet cutting products. Ceiling Jack - A threaded piece that screws into the top of a rig mast that allows the user to secure the rig to a ceiling or support. Clearance - The space between the side of the segment and the steel core. The segment is wider than the core preventing the core to rub in the cut. Collar - Otherwise known as a flange. This is the metal piece on a saw that holds the blade in place around the arbor. Column - Otherwise known as a mast. The steel piece that a core rig carriage rides on. This is attached to a rig base. 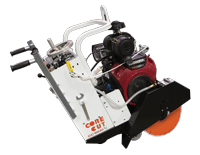 Compressive Strength - Measurement of the load carrying capability of concrete or asphalt. Measured in (PSI) pounds per square inch. 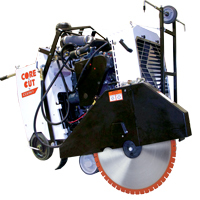 Continuous Rim - Type of blade or bit that has no gullets or spaces between segments. 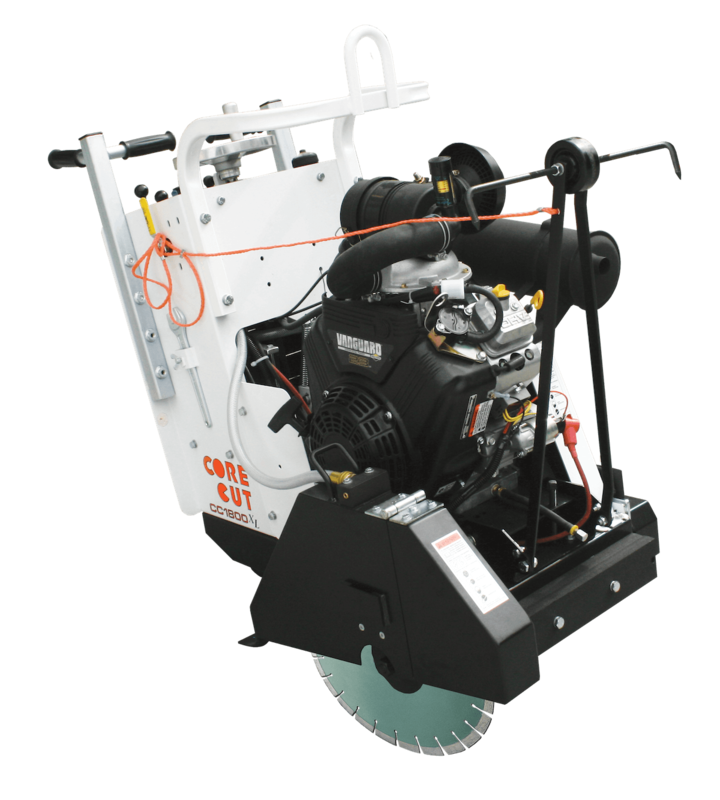 Good for smooth cutting. 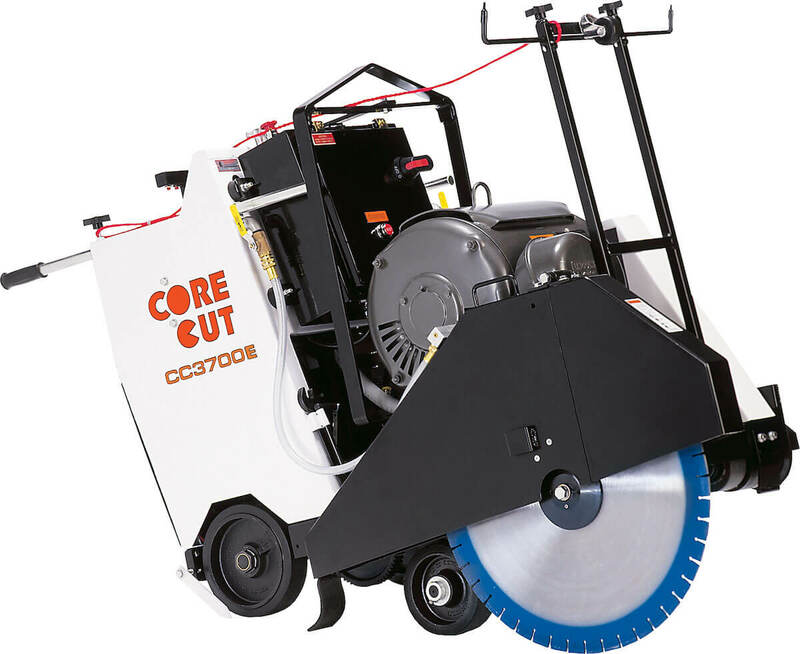 Core - The center metal disc of a blade that the segments are attached to -or- a core bit barrel. Crown - A continuous core bit segment. Waterways are cut into the crown to allow water and slurry to escape. 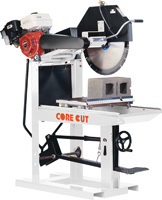 Term also used for cutting edge of a blade or bit. 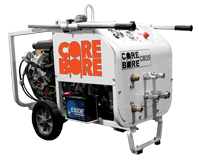 Cured or Curing - The evaporation of water in concrete causing it to harden. Sometimes chemicals are added to speed up this process. Diamond Concentration - The amount of diamond with a given volume of matrix. Diamond Size - Measurement of diamond expressed in mesh sizes. Dressed or Dressing - Process of exposing diamonds on a blade or bit. Drive Pin - The metal pin that goes through a blade's drive pin hole and into the blade flange keeping the blade from spinning around the arbor. 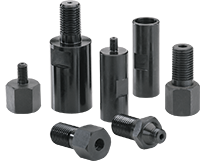 Expansion Adaptor - A three piece adaptor with a center ring that when tightened, expand to hold a core bit onto a drill motor. Used for open-end bits. 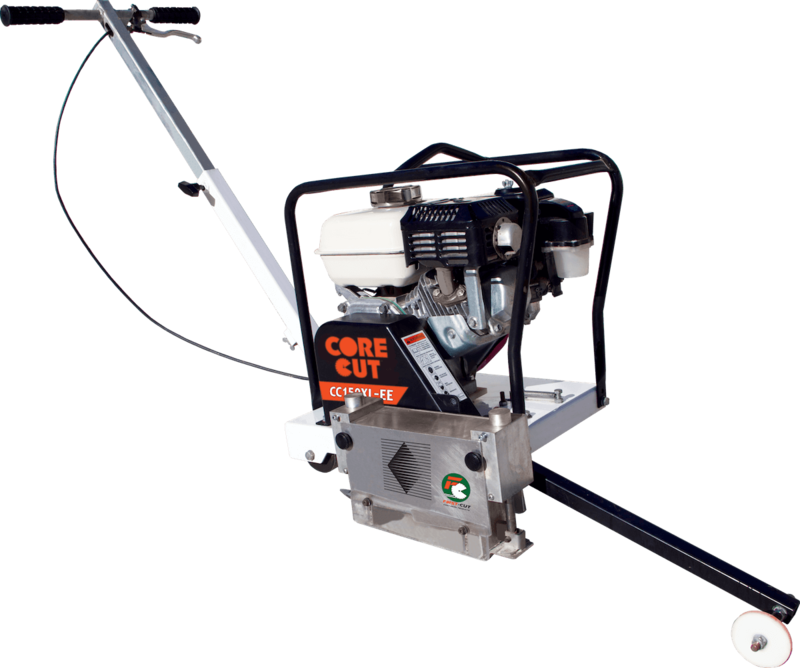 Extension - A metal rod used for core drilling deeper holes. Threaded between core bit and motor shaft. Fine Diamond - Smaller sized diamond crystals used for fast cutting. Glazing - Smoothing of the diamond segments. Occurs when the bond is too hard for material being cut. Does not allow for the bond to wear away, exposing new diamonds. G.P.M. - Gallons Per Minute. A measurement of the amount of fluid that is pumped to a motor. Usually refers to hydraulic fluid. Green Concrete - The state of concrete that is measured between the time it is poured and the time it is cured. This time depends on the what the job is. 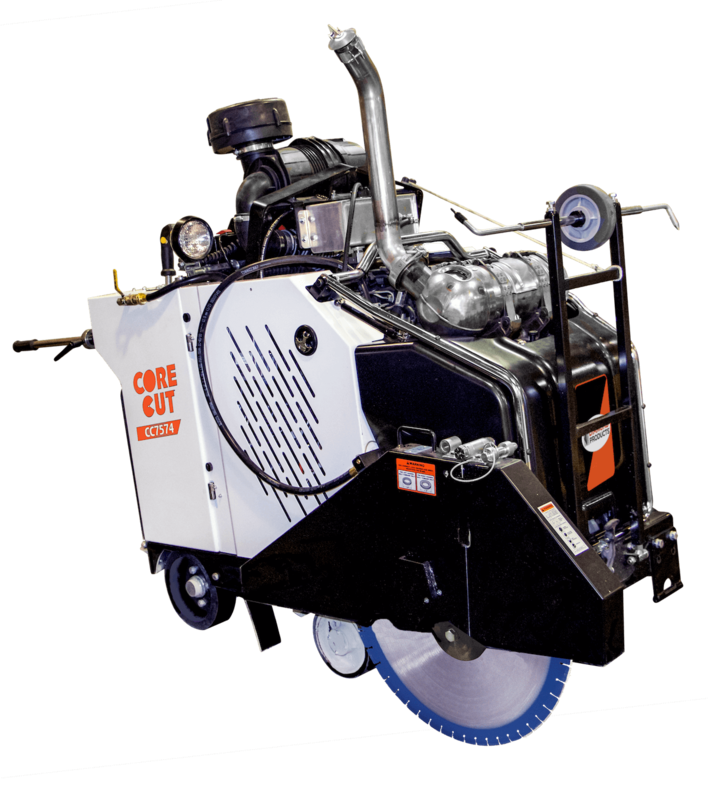 Gullet - The slots in a blade core that provide faster cooling by allowing water or air to flow between the segments. 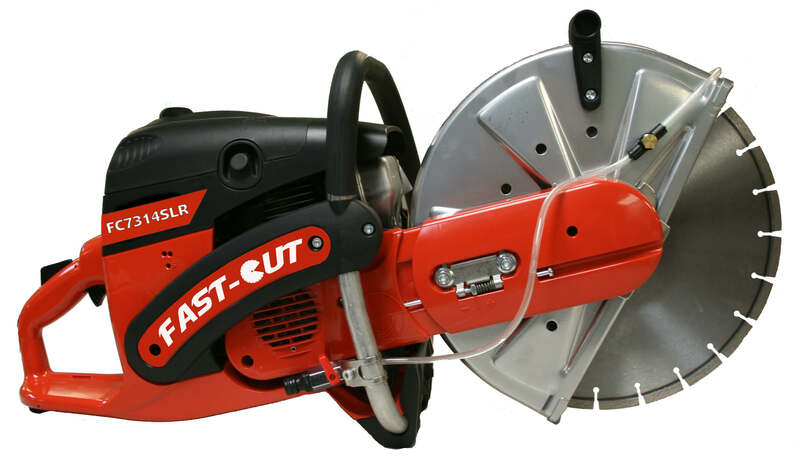 These also allow the blade to flex under cutting pressure. Hub - The cap of a core bit that is usually welded or screwed into a core barrel. This has threads and screws onto a drill motor. Impact Strength - A measure of the ability of the population of diamond crystals to withstand impact loads. The impact strength is influenced by crystal shape, size, inclusions, and the distribution of these crystal properties within the population. Inverted Drilling - Drilling upside down. Kerf - Width of a segment. 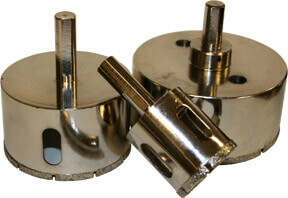 Laser Welding - Fusing together a diamond segment and steel blade core or steel core barrel by use of a laser beam. 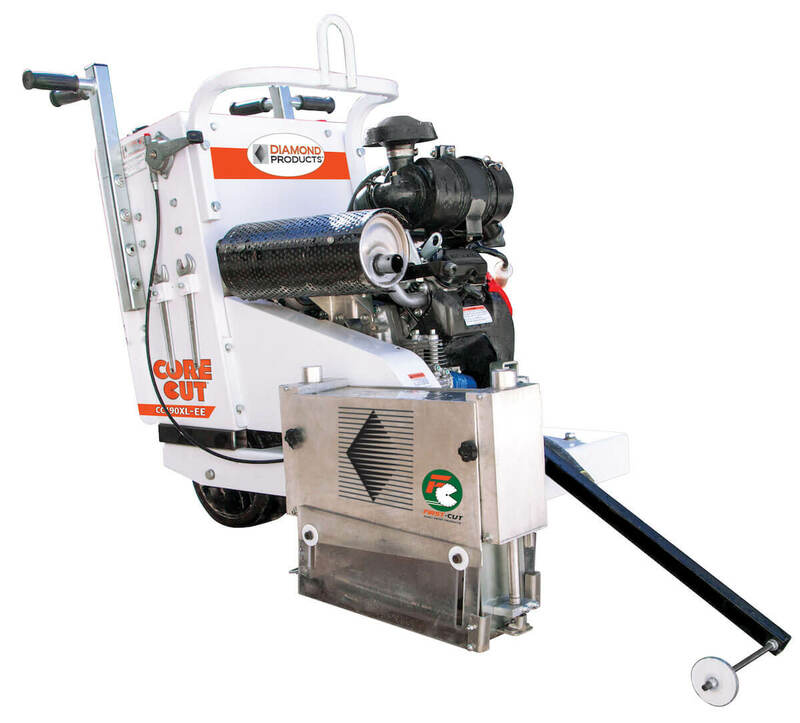 This is used when making dry cutting products. Mast - The column of a core rig. The steel piece that the rig carriage rides on. Matrix - Describes the bond or 'recipe' of the diamond segment. This can be adjusted to fit the application. This is made up of many different materials including carbon that are instilled with diamonds, creating a segment. Mohs Scale - The Mohs scale is frequently used to measure aggregate hardness. Values of hardness are assigned from 1 to 10. A substance with a higher Mohs number scratches a substance with a lower number - higher Mohs scale numbers indicate harder materials. 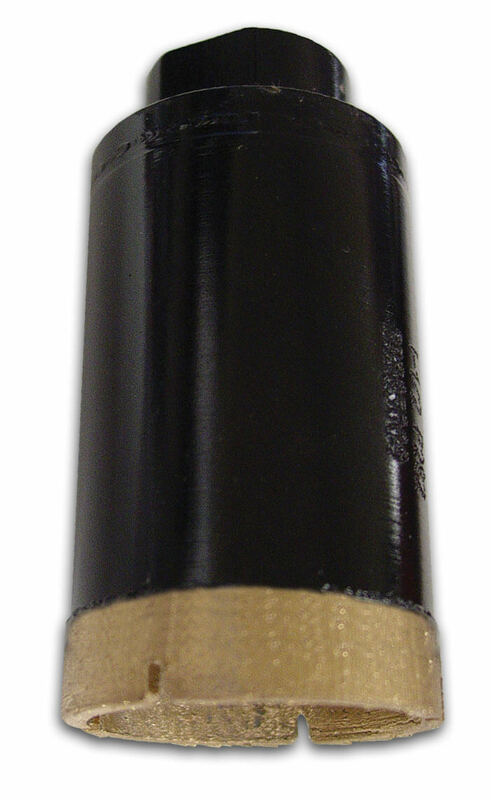 Open-End Bit - A core bit without threads or hub. 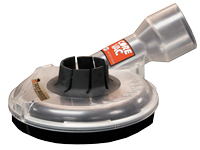 Used with an expansion adaptor for easy core removal. Rebar - The metal reinforcement that is encased within concrete or asphalt. 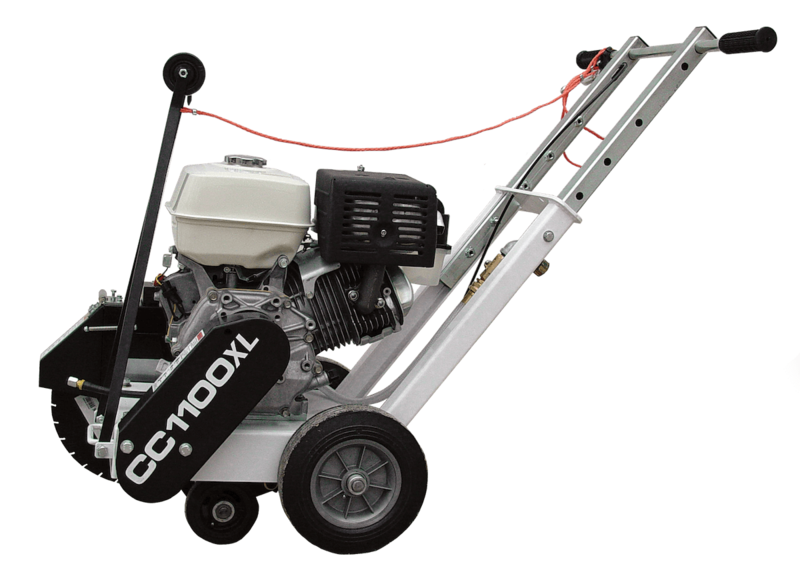 Strengthens concrete or asphalt. Usually laid in 'mats' or grids. Measured as light, medium and heavy. 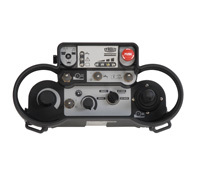 Rebar gauges (diameter of the bar) are measured in eighths of an inch. #4 rebar is 1/2" diameter (4 x 1/8"), #5 is 5/8" (5 x 1/8"). 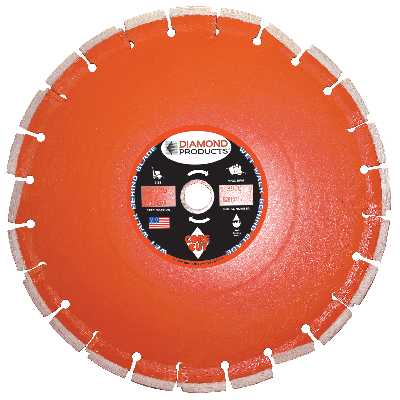 Rim - Cutting edge of diamond blade or bit. R.P.M. - Rotations Per Minute. The measurement of the number of rotations something is spinning. Can be a blade, motor, core bit. 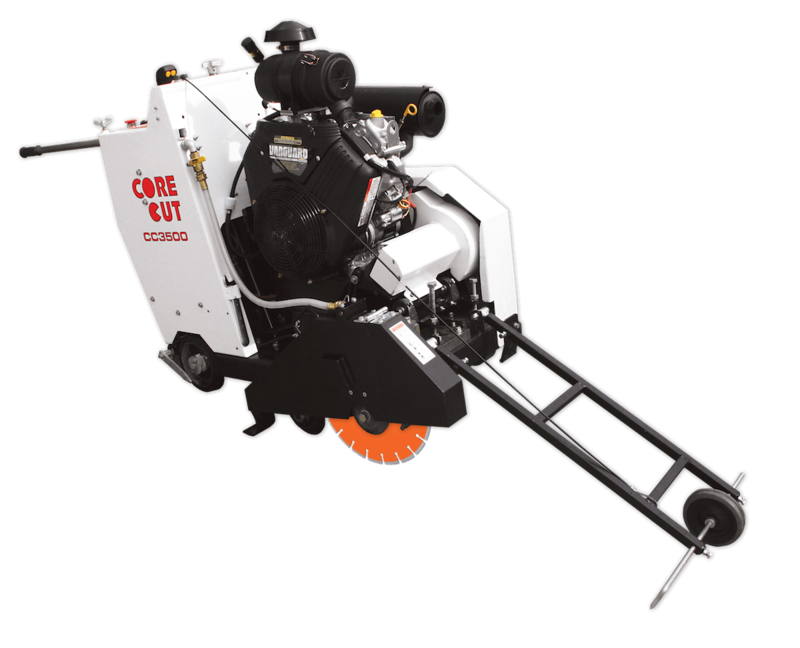 Very important when cutting and coring. Spinning a blade or bit at the wrong R.P.M. 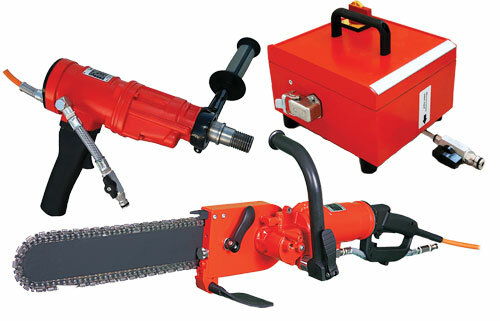 can result in lower blade life or bit life and even injury to the operator. Segment - A diamond impregnated piece of metal that is welded or brazed onto a blade core or core barrel for cutting (grinding) materials. Made up of a matrix, diamond and backer pad. 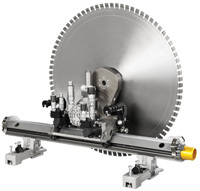 Slamming - When a blade is pinched in a cut and the saw is slammed down on the work surface. Also refers to blade bouncing in the cut. 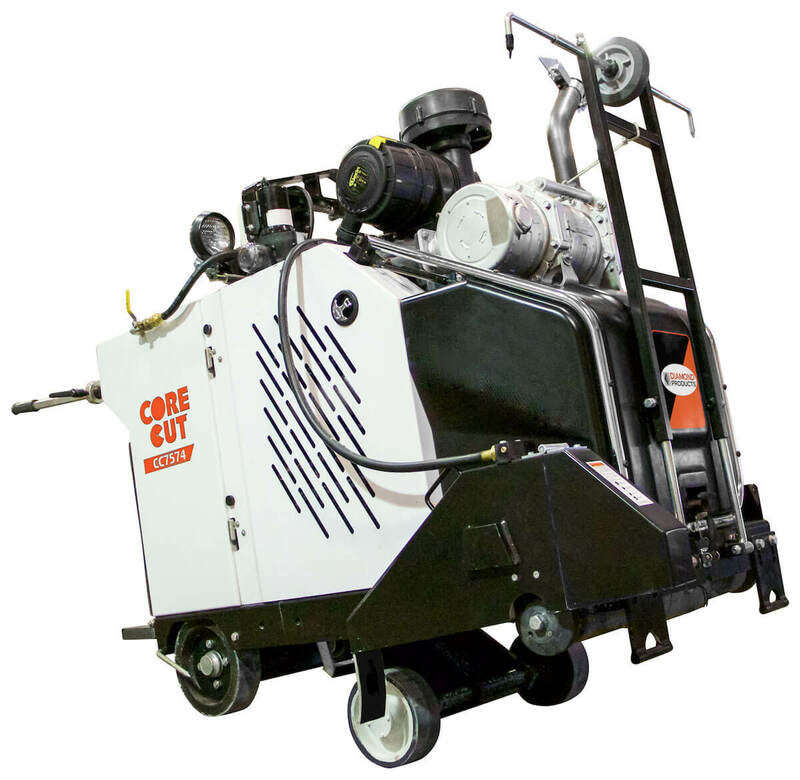 Slurry - Mud-like material that is the result of concrete cutting with water as a coolant. 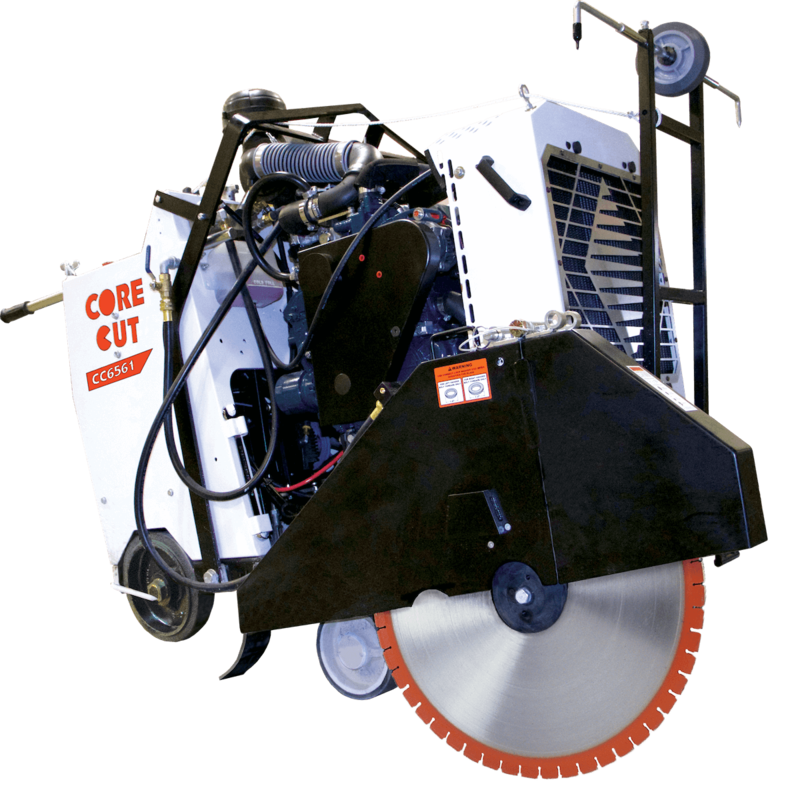 Stress Cracks - Small cracks that form in the blade core due to too much pressure put on the blade. 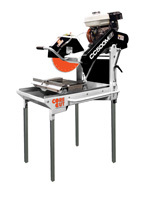 Also occurs because of overheating and if the bond is too hard for the material being cut. 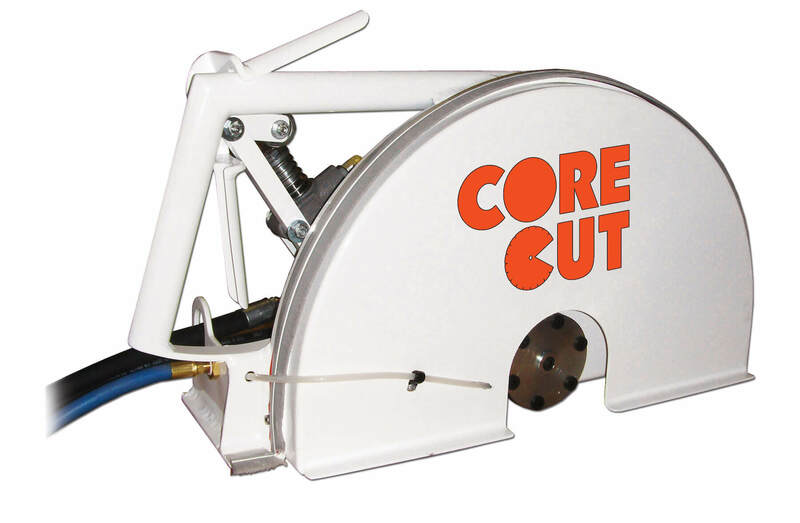 Tensioning - The process of spinning a blade core to certain tolerances allowing it to spin straight. 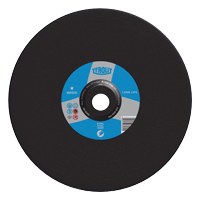 Turbo - Refers to a type of segment design that has notched or serrated segments for faster cutting due to less surface to surface contact. 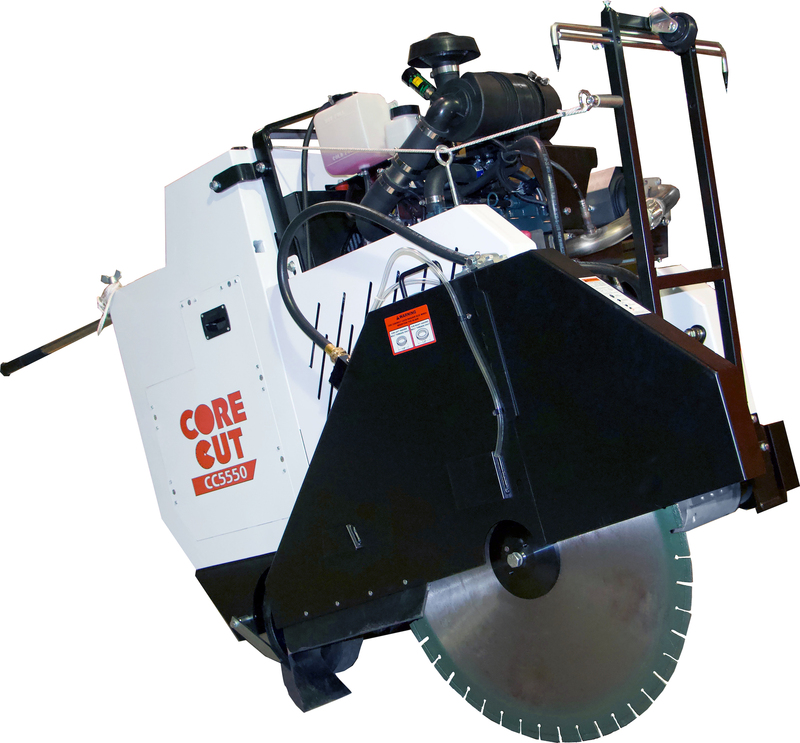 Undercutting - Wearing away of the steel blade core where diamonds are attached, causing premature seg loss. This can be prevented with coolant and/or undercut protection. 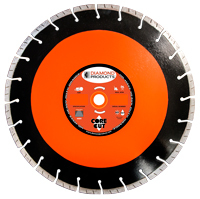 Undercut Protection - A diamond segment or blade configuration that slows down the undercut process. 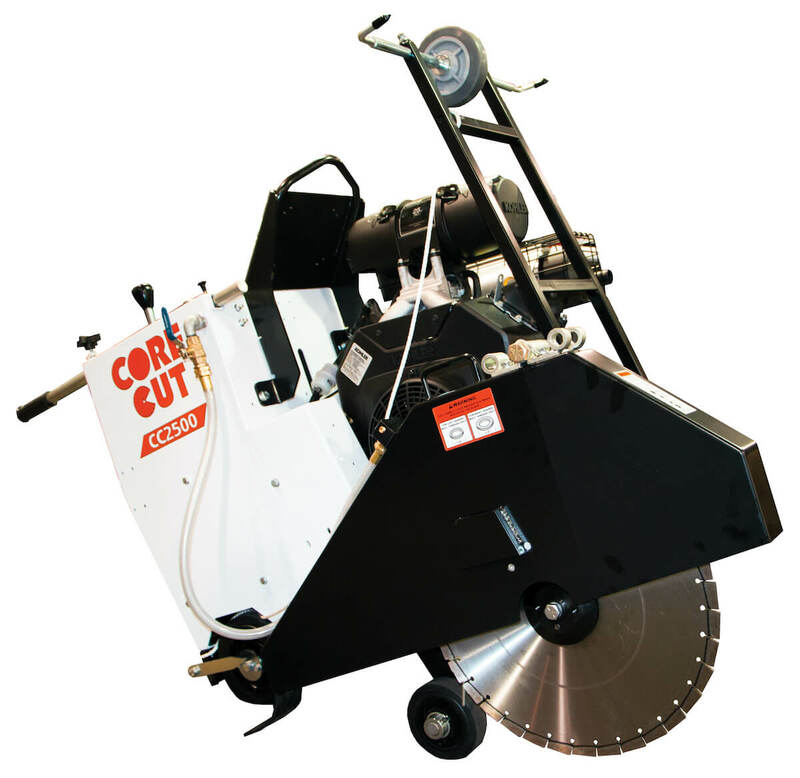 This can be a diamond insert in the gullet or a slanted segment or a full radius segment that are spaced out on the blade. 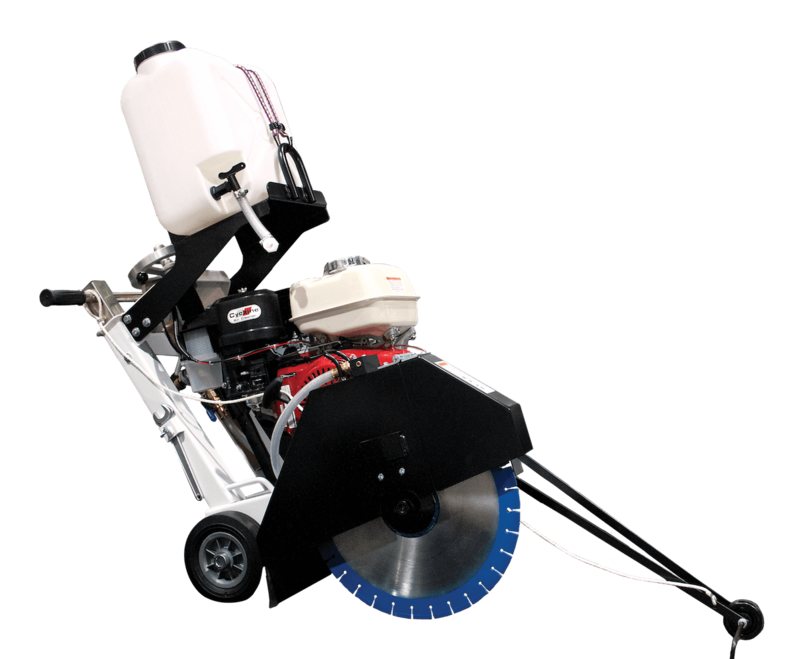 V-Gullet - A blade style that has a v-shaped space as a gullet. 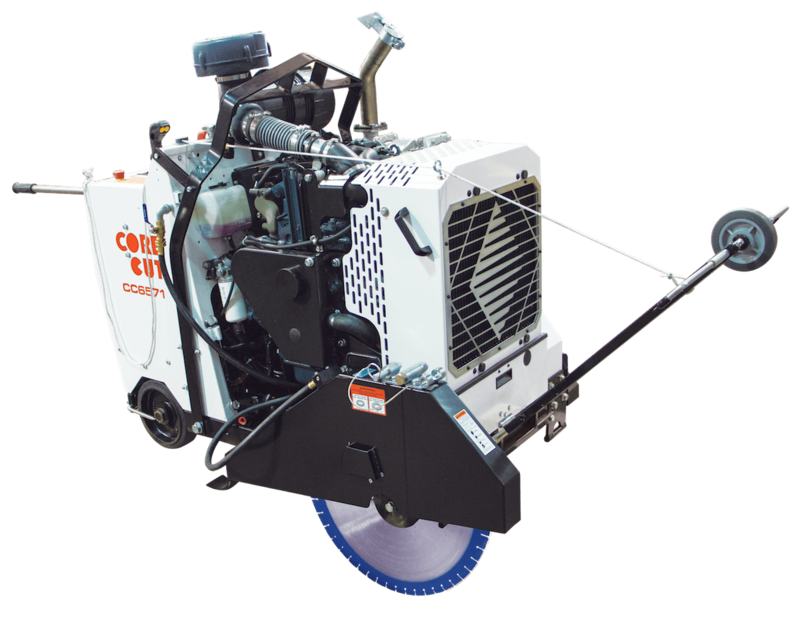 This is used on dry walk behind blades to allow proper air cooling. 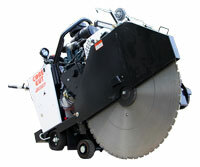 Walking - Term used to describe when a saw angles off the cut line due to the diamond blade coming out of the cut. Waterways - Slots across the face of the bit allowing water to remove the cuttings. 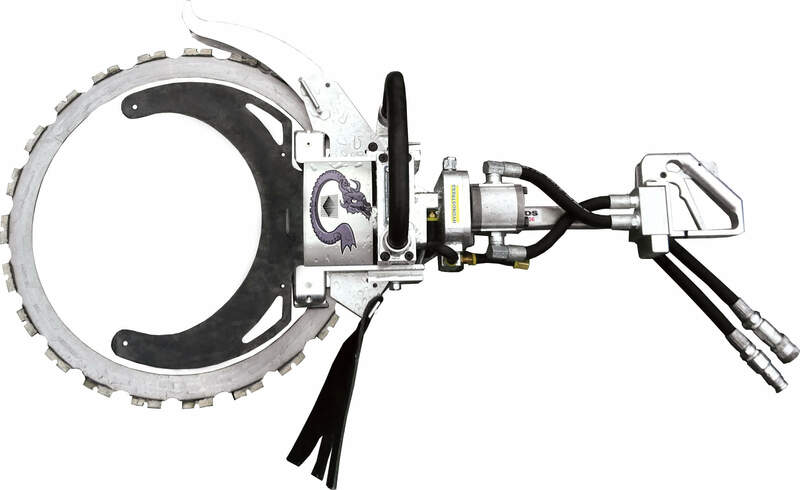 Sometimes called gullets on a diamond blade.